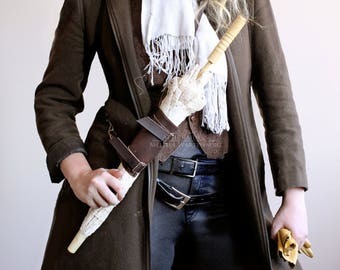 A steampunk parasol holster set has been custom designed and handmade out of soft genuine leather using stainless steel hardware to discretely allow the wearer to slip his or hers parasol out of the way and still keep it ready at a moments notice. 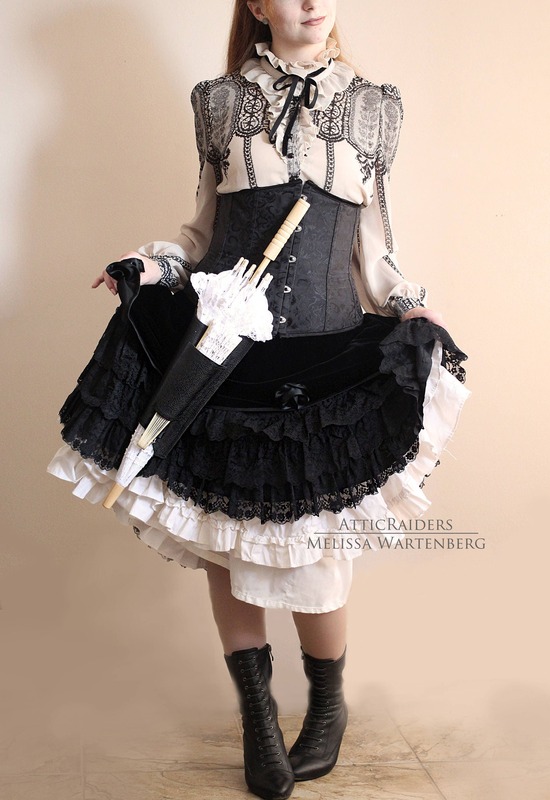 Simple in its features, the holster is designed to compliment the lace parasol and fan set, as pictured above, and is finished with a matching leather pocket sewn on the side to fit the lace fan. New to the holster design is the hardware option; You can customize how you wish to wear your holster, either clip it, clasp it, or belt it on and you can complete this holster with your color choice of parasol and fan too. Select your choices during checkout and the holster will be customized to your selections before being shipped out. 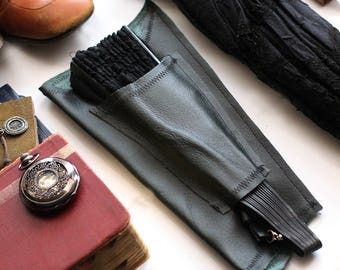 Bonus feature of this item is it folds up and stores with little fuss so after the costume is put away, this item that packs a fashion punch wont be cumbersome to store or pack again for the trip home. 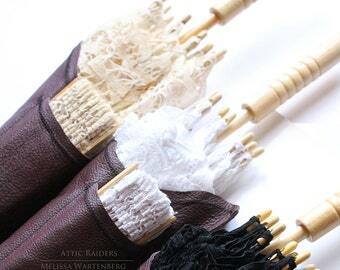 Available in a variety of colors at AtticRaiders the genuine leather, handmade Steampunk parasol holster is a travel friendly accessory for women and men to enjoy and take with them along on their travels. 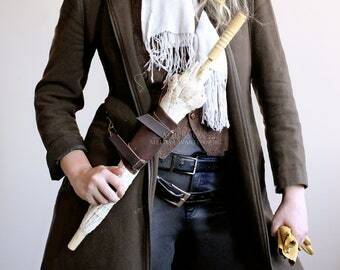 - holster can be worn on the left or the right side. - belt loops measure 3" (7.5cm, 75mm) long, slips on and fits a belt up to three inches wide. 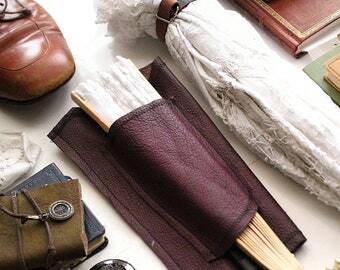 Holds most parasols of average shape, weight and length. 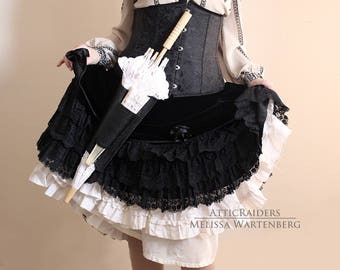 Please check your parasol length and circumference while closed to ensure that this holster will fit your favorite parasol. 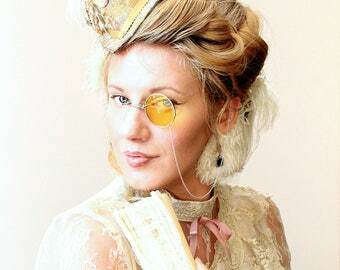 - One size holster fits most parasols and fans. - The item listed is made using real leather and may bear very minor marks, scars and discolorations that are not pictured. - Any and all body parts, backgrounds, background stuff and other things in the pictures are not included in the sale of this item. You are purchasing a leather accessory – parts are not replaceable if and not limited to, broken, stolen, lost, etc.